People who have suffered a head injury or brain injury either from a traumatic event such as a car accident (Traumatic Brain Injury) or a catastrophic bleed in the brain (Acquired Brain Injury) can be left with significant physical, cognitive and behavioural problems. Very friendly, professional and above all knowledgeable team. I would definitely recommend this team to stroke victims and their families. "Excellent service for many years"
Burscough Physiotherapy has provided me with excellent service for many years. The sessions have helped stabilise my back problems keeping it pain free most of the time. The physios are excellent at their job and very approachable. Ms B, aged 31, cerebral palsy wheelchair dependant. "Quality of life greatly enhanced"
Mike sustained a severe head injury which left him with mobility and co-ordination problems. As Mikes wife, it is difficult for me to express how valuable this neuro physiotherapy service is to us both. Mikes quality of life is greatly enhanced by the physios efforts with him each week (thanks for everything). The physiotherapy sessions my mother has had from Burscough Physiotherapy following a stroke last year have improved her movements beyond anything we could have expected. The care attention and treatment she has received from the physiotherapists dealing with her have been second to none. I would have no hesitation in recommending Burscough Physiotherapy to anyone in need of their services, they are excellent in every way. 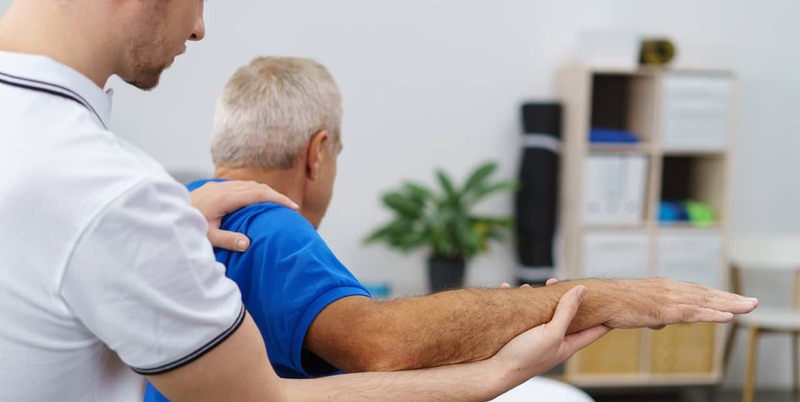 We have been using the services of Burscough Physiotherapy on a regular weekly basis for ten years and have found the services provided to be beneficial and reliable. May I once again thank you and your physios for all the work put in on my mum and the wonderful improvement made, not just physically but to her mental wellbeing as well. The girls have worked wonders and she and I can not thank you enough. Kind and caring physiotherapists who give their best to improve the lives of their patients…I am impressed by the encouragement given to P throughout each session and also for the explanation of what the exercises are hoping to achieve.